Phone the UK Charity Commission on their contact number 0300 066 9197 to register a new charity, for technical support when performing a search on their website and for funding complaints. Contact the Charity Commission on their UK phone number 0300 066 9197 for general enquiries about the requirements for registering a new charity, for help preparing your annual returns statement and to claim gift aid as a charitable organisation. Furthermore if you would like technical support when searching for a charity using their online register then you may call this helpline for assistance. When establishing a new charity you can phone the commission for advice on which paperwork need to be submitted such as the governing document which will contain your organisation’s mission statement. Trustees can also use this service to ascertain their responsibilities and for helpful guidelines on recruiting new committee members. The Charity Commission helpline is open Monday-Friday between 10am-12 noon and 1pm-3pm however they may be closed on bank holidays. Calls are charged at standard local rates which apply to area code numbers starting with 01 and 02 prefixes. This means you can contact the Charity Commission for free if you receive inclusive minutes as part of your landline or mobile tariff. Phone the Charity Commission to report a serious incident by calling their 24-hour contact number 0300 065 2199 which is recommended if you suspect an organisation is involved with illegal activities or if funds are being used by an individual for personal profit. You should also call this whistle-blowing service if you are aware of charity members causing harm, which is particularly pertinent for organisations which purport to look after vulnerable groups such as the elderly. Make an anonymous complaint to the fundraising regulator by phoning their contact number 0300 999 3407 to report harassment by an organisation including cold-calling, misleading requests or forced entry into your property. You should also call this helpline if you have complained directly to the charity involved and you have not received a response within a period of four weeks. Furthermore you should dial this number if you have been approached by a charity despite previously stipulating that they should not contact you. You can also direct your general enquiries to the Charity Commission in writing by sending a letter to their postal address or by submitting an email form. Moreover they manage social media profiles to announce changes in charitable legislation and to give you advice when establishing a new not-for-profit organisation. 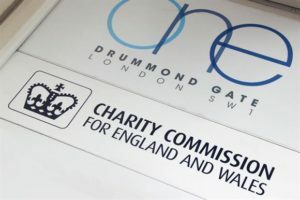 Please complete an online contact form available on the Charity Commission’s website if you would like to email them with general enquiries and funding complaints. Here you can also confirm which documents are needed to form a new charity and for advice with trustee responsibilities. The Charity Commission uses social media platforms to advertise changes in UK government legislation which may affect funding and the corporate organisation of charities.